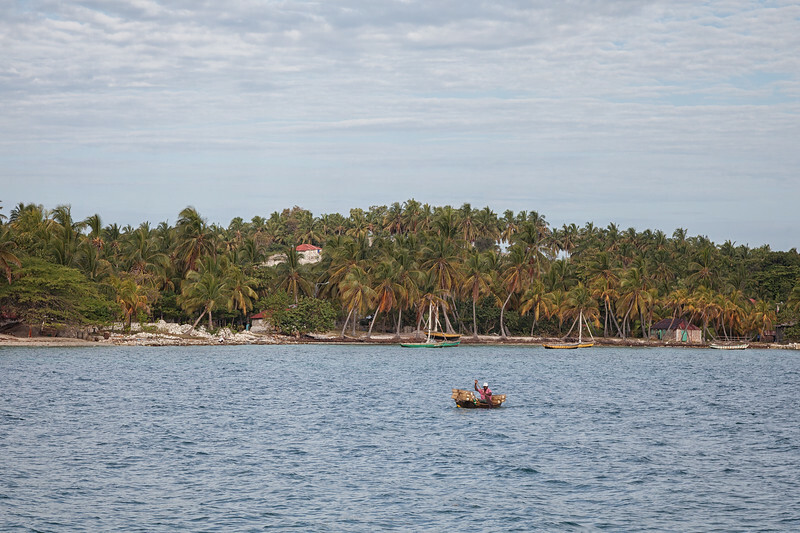 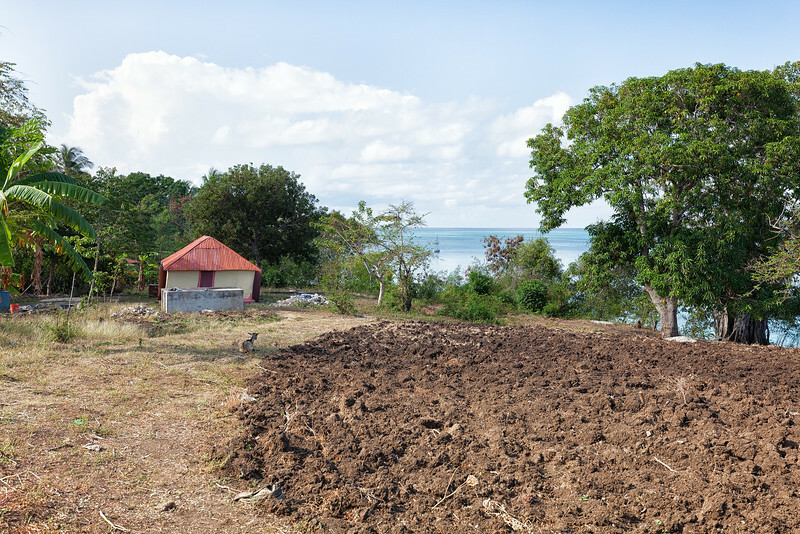 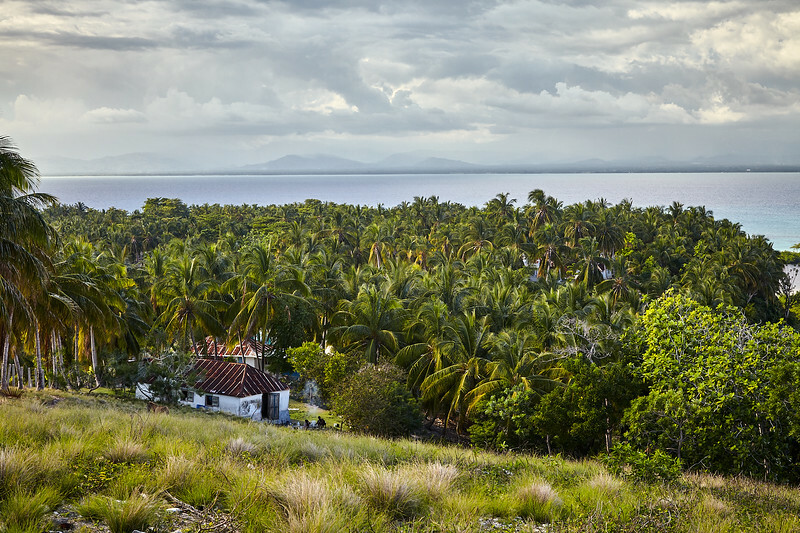 Pictures of normal daily life on Ile A Vache - the people, beaches, fishing, and farming. 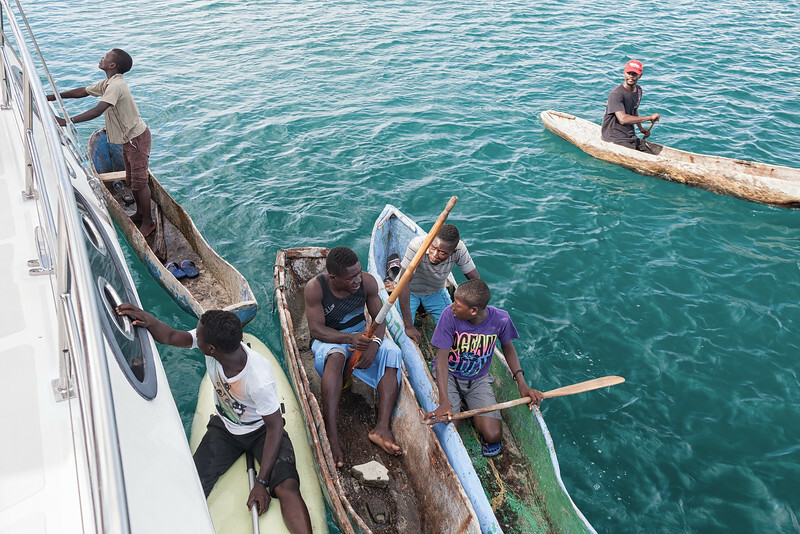 Ile A Vache's welcoming party, greeting each cruiser that comes into port. 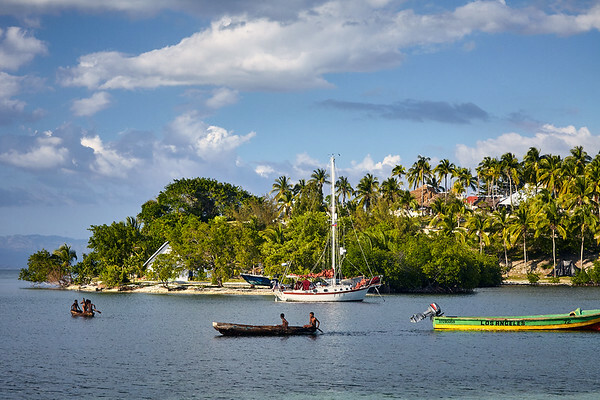 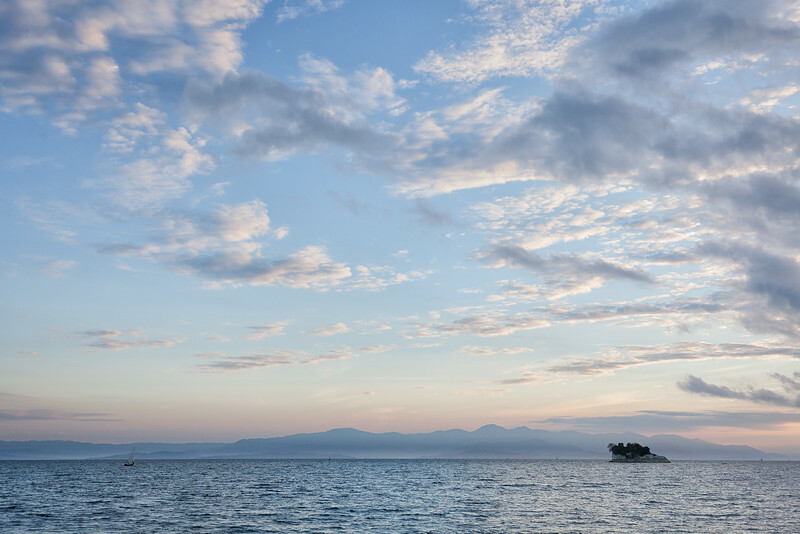 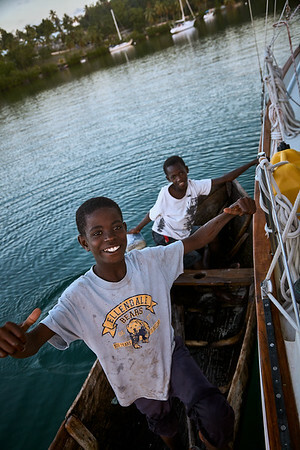 A bois fouilles sailboat heads out for fishing early in the morning, from Port Morgan, Ile A Vache, Haiti. 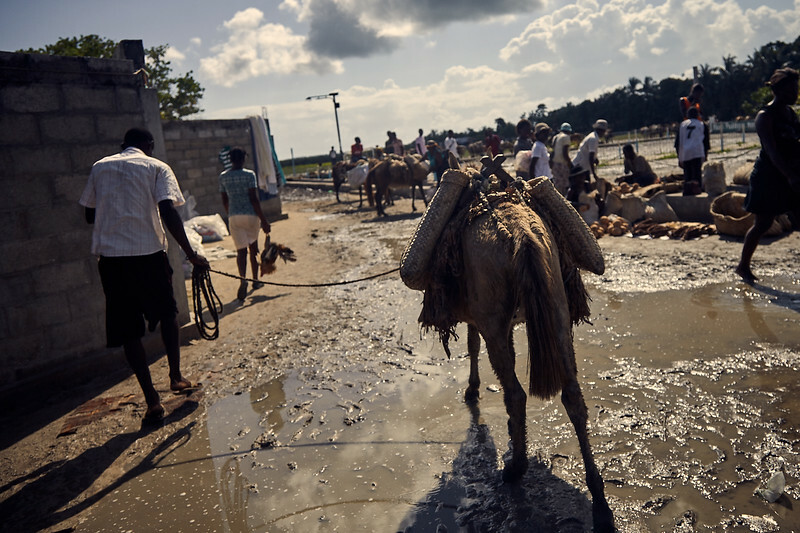 Local Haitians riding their mules along the beach in Port Morgan, Ile A Vache, Haiti. 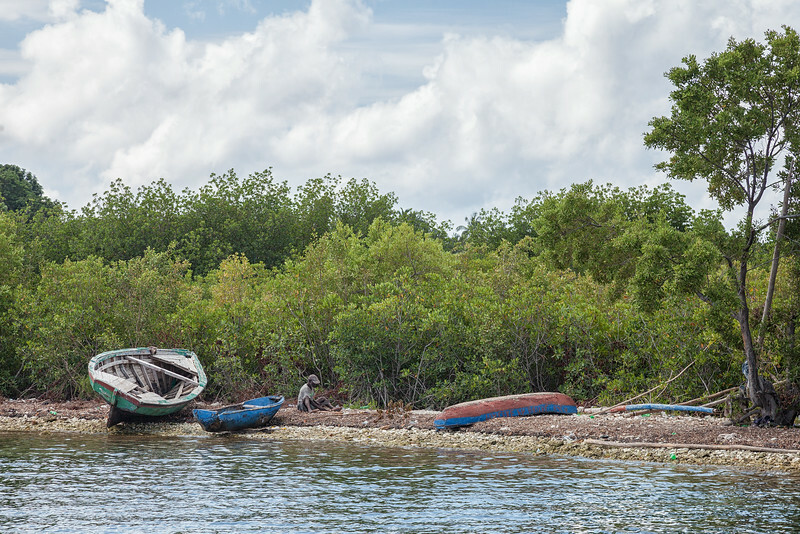 A fisherman brings his fish traps back into Kay Kok (Port Morgan), on the island of Ile A Vache, Haiti. 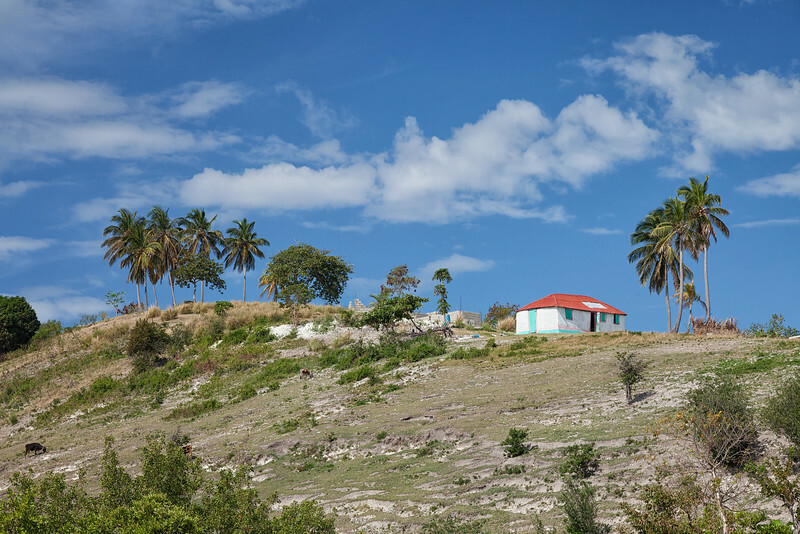 One of the colorful houses on Ile A Vache, Haiti, overlooking Tou Milieu. 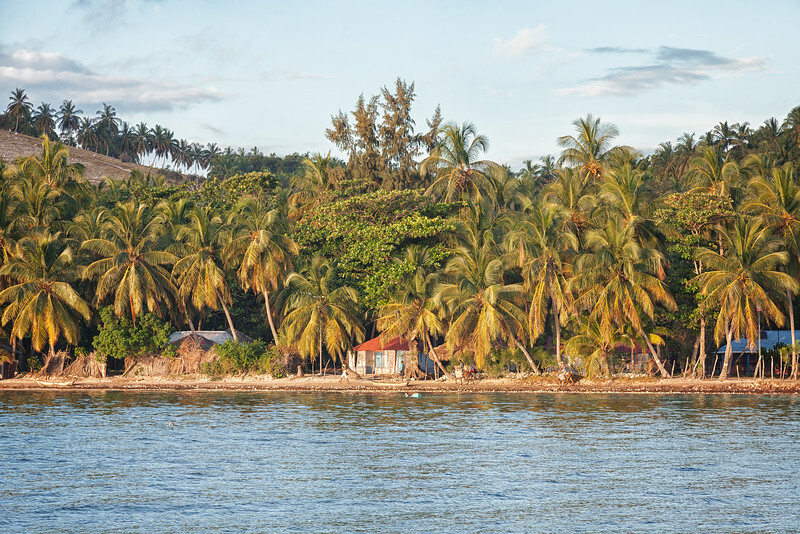 A fisherman on the beach in Tou Milieu uses a machete to cut open a coconut. 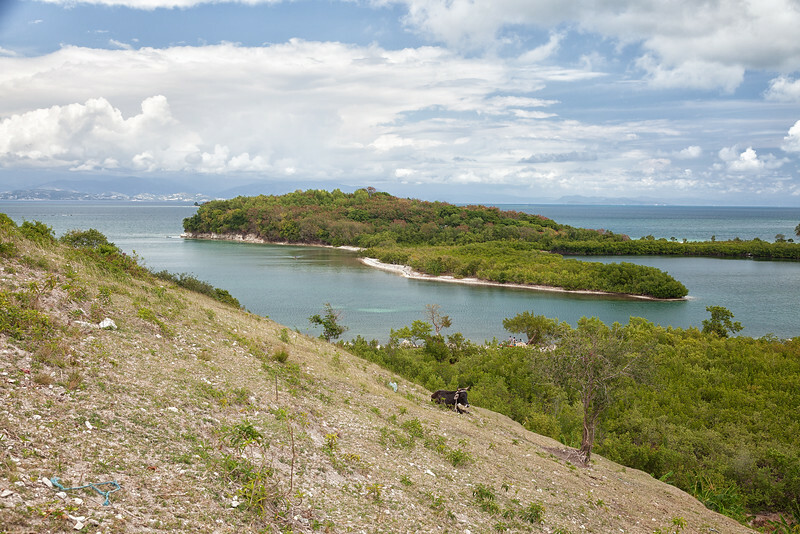 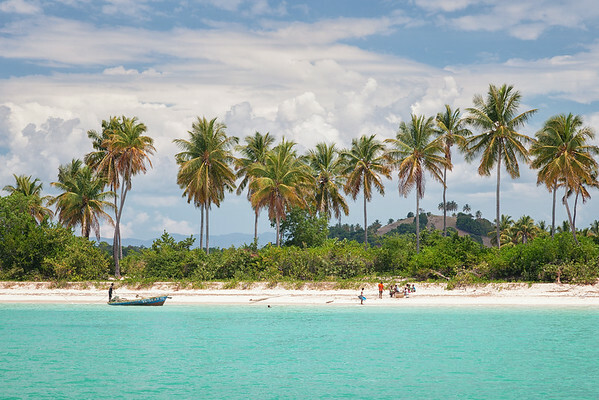 Children play on the beautiful beach in La Hatte, Ile A Vache, Haiti. 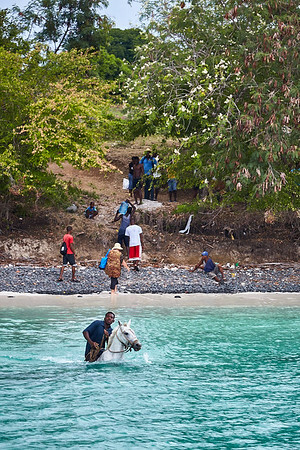 A boy riding his horse into the water from the beach in La Hatte, Ile A Vache, Haiti. Cattle in Baie La Hatte, Ile A Vache, Haiti. 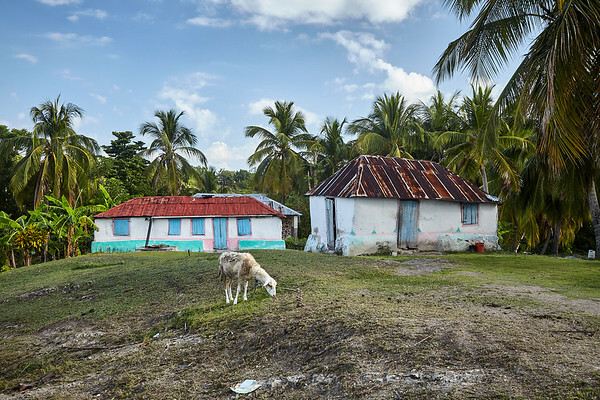 Charite's house in Baie La Hatte. 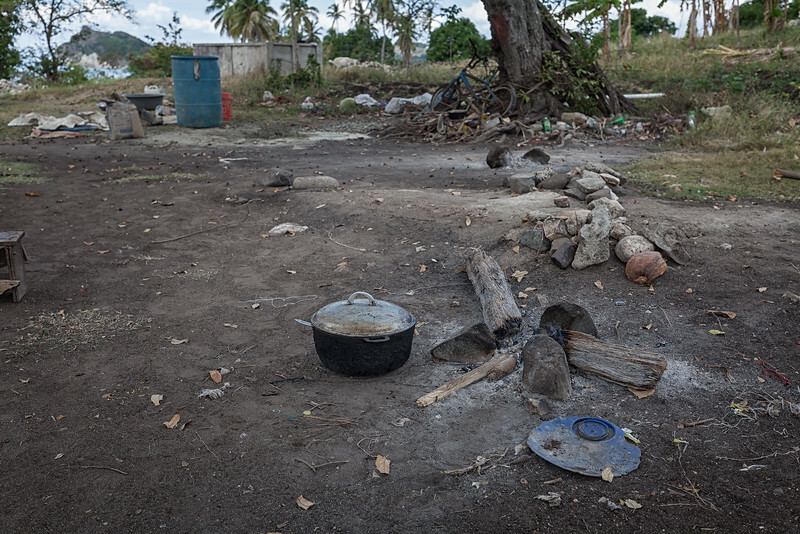 Smoldering cooking fire in La Hatte, Ile A Vache, Haiti. 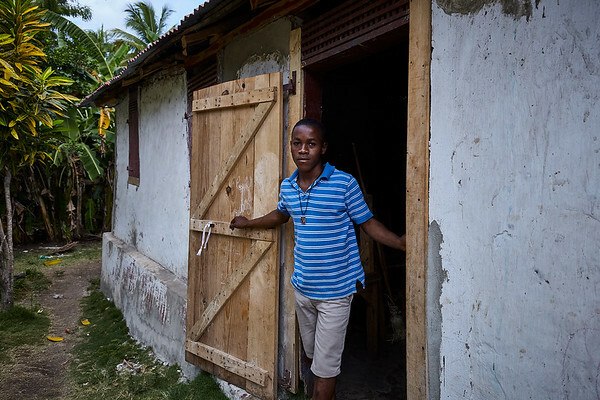 This small house is partitioned into a kindergarten and the sleeping quarters for this boy's family, until the main school in La Hatte becomes operational. 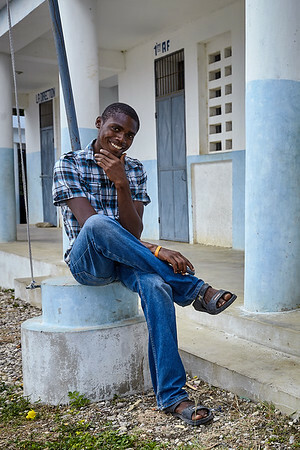 Janel, one of my translators during a candid moment at the school in La Hatte. 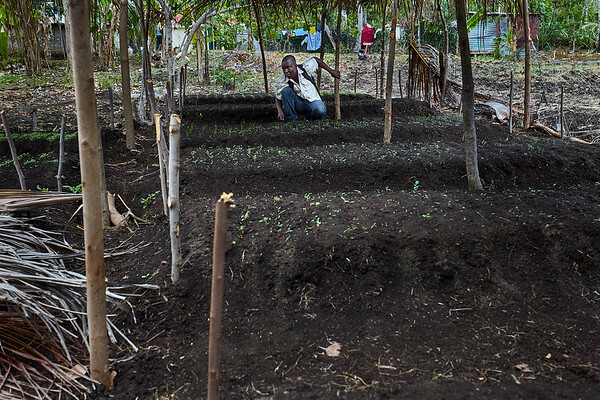 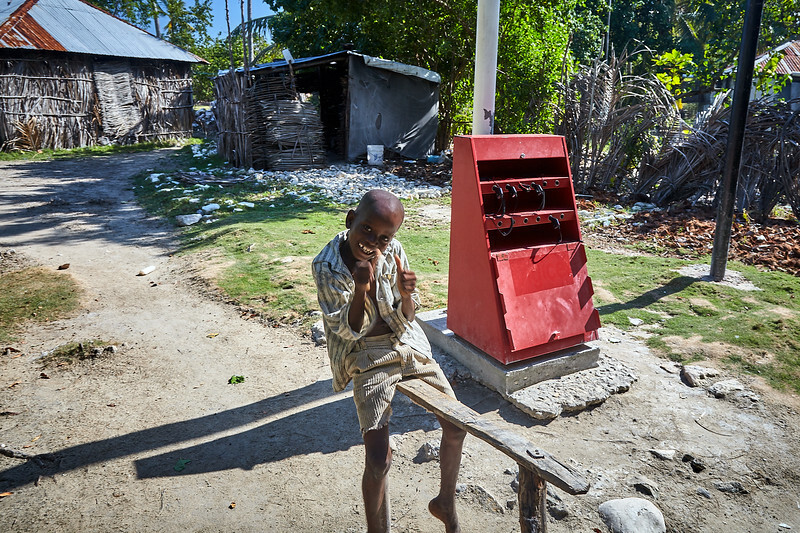 Anous inspects the demonstration garden near his house in La Hatte, Ile A Vache, Haiti. 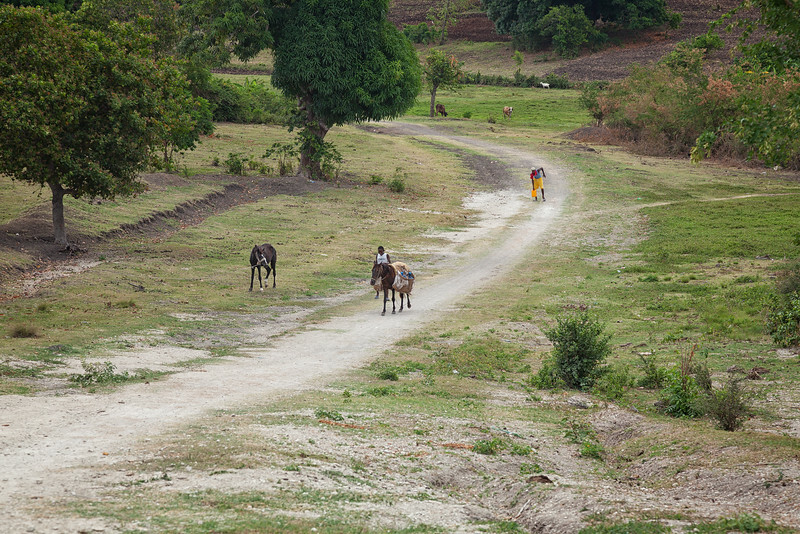 A horse carrying water jugs near Baie La Hatte, Ile A Vache, Haiti. 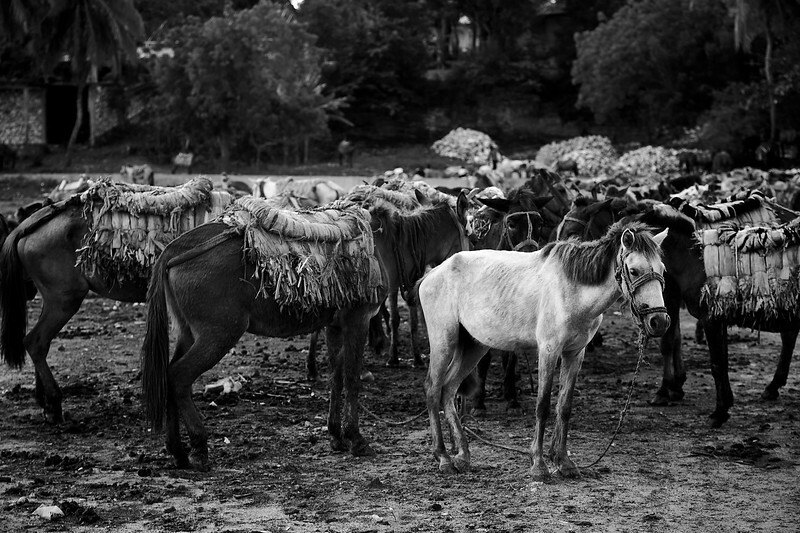 Cattle on the hillside above Tou Milieu.